David To Appear On America’s Got Talent: The Champions Monday February 4th 8PM ET On NBC! 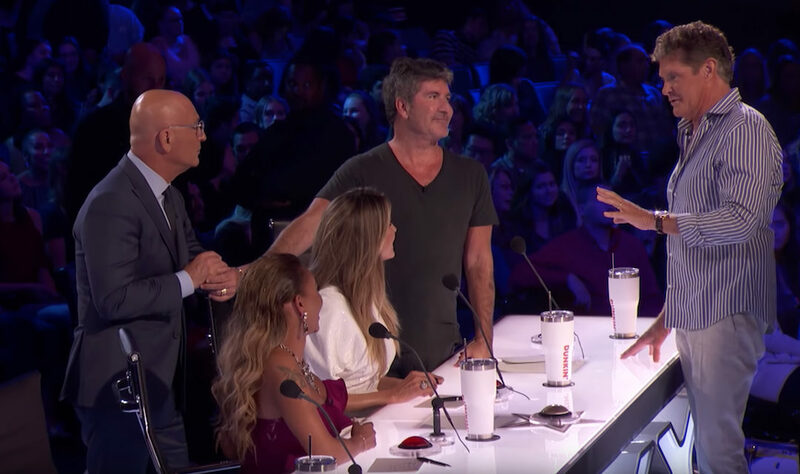 Parade.com has an exclusive behind-the-scenes clip of David talking with judges Simon Cowell, Heidi Klum, Howie Mandel and Mel B about how he and Simon know each other and how Simon is responsible for David meeting his wife Hayley Roberts, whom he married in 2018. Read more at parade.com and be sure to tune into AGT: The Champions Monday, February 4th at 8PM ET on NBC!